Want to Know About Magnesium Absorption? Get All the Information You Need Here.. If you are concerned about Magnesium Absorption or you think that you might have problems absorbing magnesium, you've come to the right place to learn the secrets that you will not hear anywhere else. Magnesium absorption is dependent upon several factors and unless ALL of these factors are taken care of then you might still be magnesium deficient despite eating magnesium rich foods and even magnesium supplementation! Here are some of the factors that you need to know if you are having problems with magnesium absorption- some of them may surprise you! 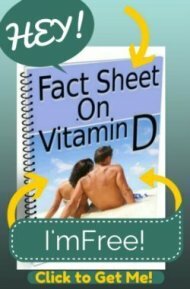 has created an epidemic of magnesium deficiency in western countries. Even if you think that your diet is 'great', the changes are that it's quite deficient in magnesium- and the stressful lifestyles that most people lead make this even worse. Therefore, the MOST common problem with poor magnesium absorption is actually NOT poor absorption of magnesium at all, but simply not getting ENOUGH magnesium. Surprisingly, anyone who has Signs of Magnesium Deficiency is probably EXTREMELY deficient and will likely need intensive supplementation- even if they have normal Magnesium Levels- because even the most intensive dietary changes just simply don't provide enough magnesium to relieve deficiency. Unfortunately, another reason that people believe that they can't absorb magnesium is because they supplement with 200 or 300 mg of magnesium per day and expect to resolve their deficiency. But this is a VERY VERY small amount. Go to the Magnesium Dosage page to find the right amount for YOU. It may be FAR more than you think that you need. Do not listen to sites that tell you that 200 mg or 400 mg or 600 mg or whatever dosage is the 'right' amount for whatever problem that you have. The only way for you to know the right amount for YOU is to supplement aggressively and find out how much magnesium you need to relieve your symptoms. The VAST majority of magnesium supplementation is in the form of magnesium oxide. This is the cheapest form of magnesium and, by far, the LEAST absorbable. Unless you specifically seek out a good form of magnesium, you'll most likely get magnesium oxide, and if it just says 'magnesium', then I guarantee that it's the cheap and difficult to absorb oxide form of magnesium. There are dozens of different formulations of magnesium and all of them are better than magnesium oxide. Magnesium citrate is the next least expensive choice, but is more likely to cause loose stools than other forms of magnesium. 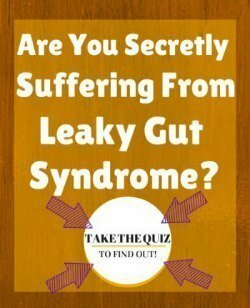 Depending upon the status of your bowels, having looser stools could be a bad thing or a good thing and some people specifically seek out magnesium citrate in order to take advantage of the fact that it can improve regularity. Magnesium Malate is a good choice and has had studies showing that it can help to improve symptoms of Fibromyalgia and Chronic Fatigue. Jigsaw Health's Extended Release Magnesium Malate is highly absorbable as well as causing few digestive complaints in most people. Angstrom Magnesium has the BEST magnesium absorption and generally the fewest digestive side effects. It's really great for those who are SEVERELY deficient and who'll need a lot of magnesium in order to replenish their tissue stores. While you will see websites that promote one type of magnesium or another as 'the best', everyone's body reacts differently and just because it's 'the best' for someone else doesn’t mean it's the best for YOU. If you truly have problems with magnesium absorption, it could be that you are actually deficient in Vitamin B6. Also called Pyridoxine, Vitamin B6 is a requirement for proper magnesium absorption and studies have shown up to double the amount of magnesium is absorbed when vitamin b6 is taken along with it. Women, particularly, often have higher need for Vitamin B6 and premenstrual symptoms are one of the most common signs that you might have a higher need for Vitamin B6. 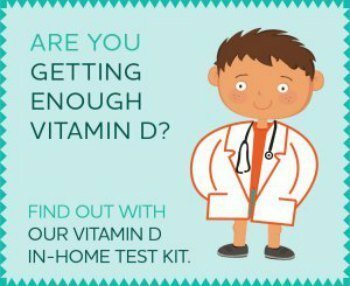 Vitamin B6 is extremely safe and an 'average' amount of vitamin b6 is 50 to 100 mg per day, but up to 600 mg per day has been taken for long periods of time without causing any problems. Find the LOWEST dose that helps to relieve symptoms and take that along with magnesium to improve absorption. Most people in western cultures are 'fat phobic'. We eat only the lean cuts of meat, get the 'fat free' version of anything when it is available, drink lowfat or skim milk and even remove the skin from chicken. But HEALTHY fat, including Saturated Fat, in sufficient quantities ('sufficient' meaning sometimes much larger amounts of fat than you might believe) is absolutely IMPERATIVE for the proper activation of magnesium. While magnesium absorption in the digestive tract is generally not affected by fat one way or another (in other words, you do not need to worry about eating fat at exactly the same TIME as when you take your magnesium), magnesium can't be USED in your body unless there is plenty of fat in the diet. When I say 'plenty', I mean amounts far higher than what most westerners eat today. While western governments are telling us that fat is harmful and will lead to heart disease, our ancestors ate FAR FAR more fat than we do today and had no heart disease. They also didn't get magnesium deficiencies! If you truly do have magnesium absorption problems, then consider that you may have Gluten Sensitivity. Gluten sensitivity is EXTREMELY common, far more common than doctors will tell people, and affects people in a variety of ways causing a myriad of health problems from malabsorption of a variety of different nutrients. Anyone who wants to improve their absorption of magnesium or who believes that they don't absorb magnesium well should absolutely go on a Gluten Intolerance Diet. Many want to be tested for this before eliminating gluten, but this is counterproductive and unnecessary since the vast majority of people who have problems with gluten will test negative anyway. 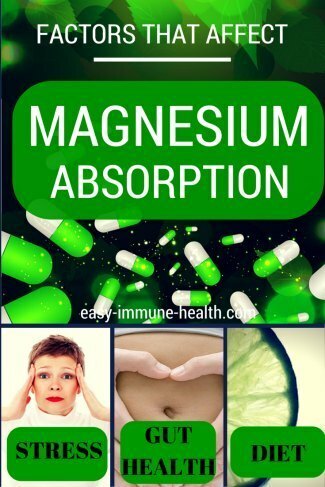 These are the 'major' reasons why people might have problems withMagnesium Absorption, this is not even including conditions that cause Magnesium Depletion such as excessive stress, Adrenal Gland Fatigue and taking certain medications which cause you to REQUIRE much more magnesium than you would think. But if you are having problems with magnesium absorption, or think that you are, be sure to keep reading the next page about how to get the right Magnesium Dosage…. Should mag/cal/D be taken with or without food? Can I Get Magnesium Through My Food?